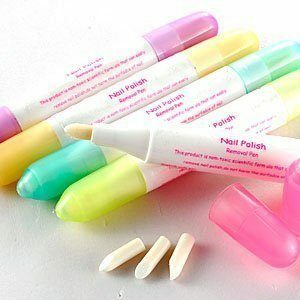 5-Piece Nail Correcting Pen Set Only $3.51 + FREE Shipping! You are here: Home / Great Deals / Amazon Deals / 5-Piece Nail Correcting Pen Set Only $3.51 + FREE Shipping! If you like to do your own nails, you’ll want to grab this HOT deal! Get 5 Nail Correcting Pens for just $3.51 with FREE shipping! I love these because you just fill them with nail polish remover and then use them! This will make getting small areas where you might have gotten some extra polish much easier to clean off! I do my nails a lot, so I’m totally grabbing this set!